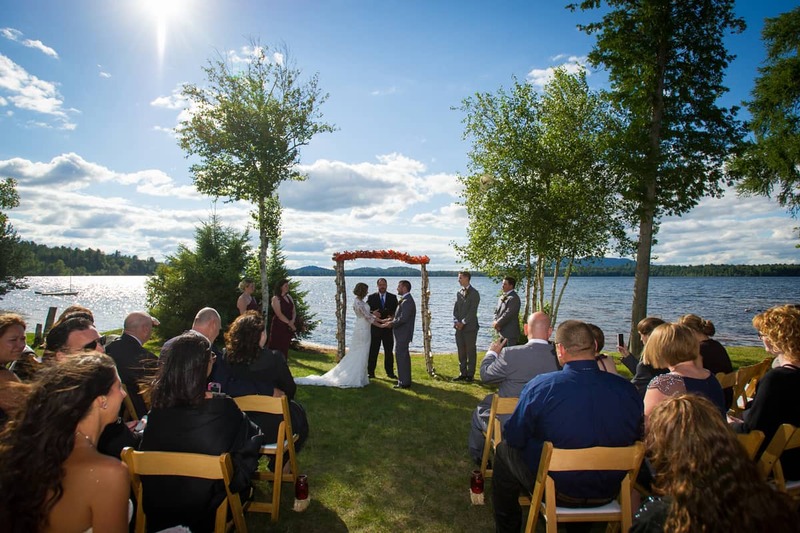 Do you hear the ripples of Adirondack water creating a symphony for your special ceremony? Do you see their natural cascading confetti as you gaze out to a setting sun on a serene mountain range which frames a natural arbor? 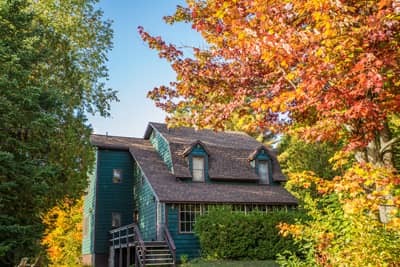 Imagine your special day in one of the last of the original Adirondack Great Lodges open to the public, in nature's bouquet of New York State's only wilderness canoe region. 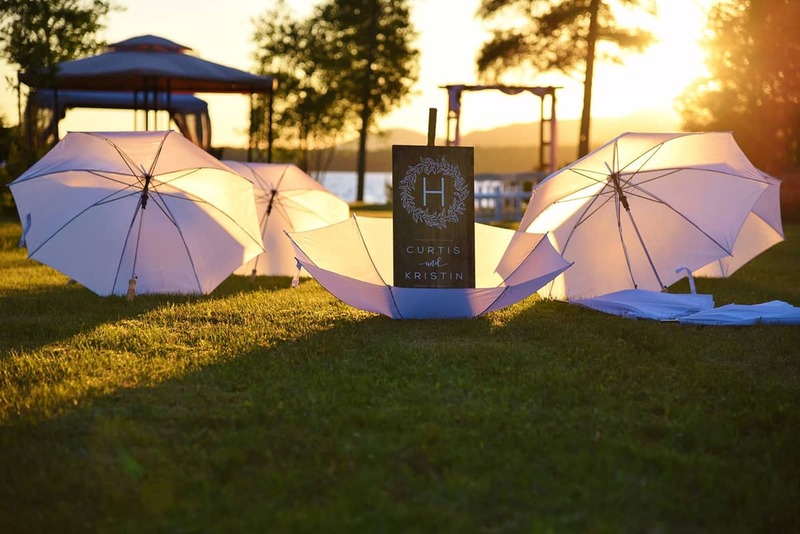 An Adirondack destination ceremony of woods-and-water trellised by one of the world's most inspiring mountain lake sunsets. 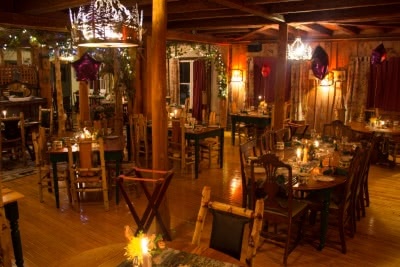 Then, meander hand-in-hand to a unique reception in a 1920s Adirondack Speakeasy or Lakeview Retreat Center and savor the new unity with the fusion cuisine of our award winning Adirondack Alps Restaurant. 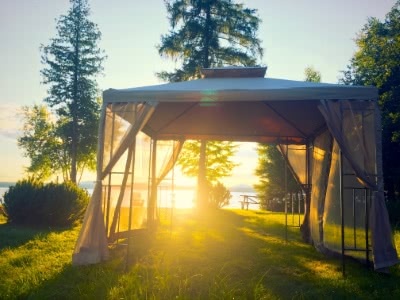 As the sun settles over Lake Clear, stroll our nature trails to your honeymoon artisan chalet. Let our Adirondack nature nurture your new beginning. 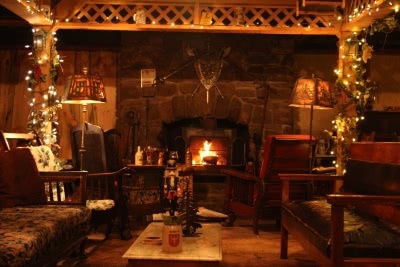 A truly unique reception room with a large stone fireplace that houses the Adirondacks only hand-crafted Wine & Beer Cellar featured in USA TODAY with the Park’s largest selection of craft import beers. 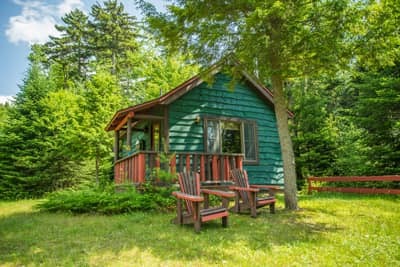 On one of the most spectacular and secluded bodies of water that serves as the portal to New York State’s only wilderness canoe region are typically part of our nature based experiences and can also be used for larger events. Vaulted Great Camp-style ceiling, immense fireplace, stone patio and beautiful mountain lake view. 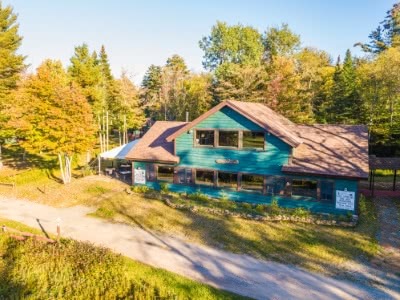 Our Retreat Center overlooks secluded Lake Clear and has 21st C amenities including an integrated audio and visual system and catering amenities. 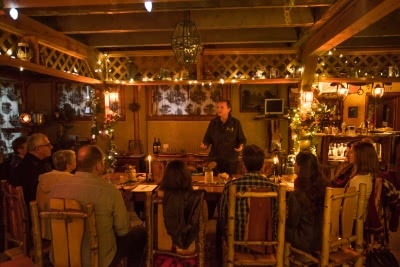 The heart and soul of our culinary based experience: 1886 hand-hewn dining room can accommodate your group needs for breakfast, lunch and dinner. 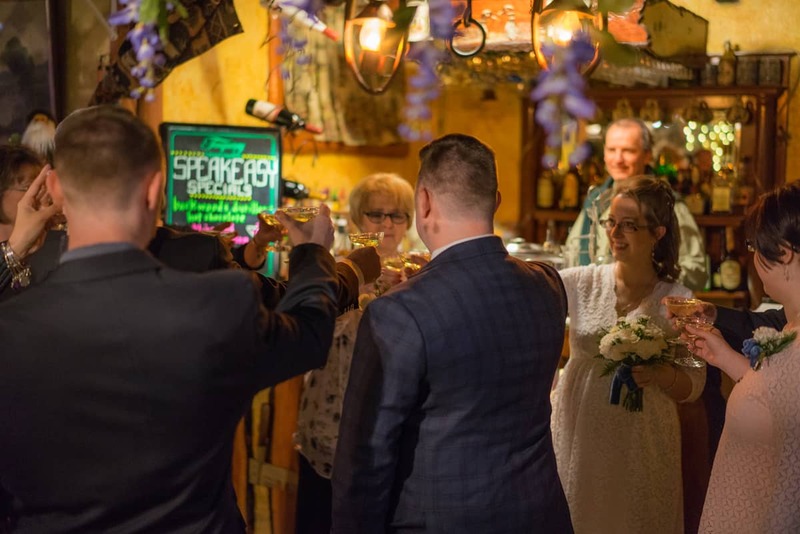 Three styles of accommodations for the wedding party and your guests; each with their own story to tell. Designed to be spaciously set apart throughout our 25 acres and are largely built from milled wood from our property. With fireplaces, sitting decks and incredible lake views. 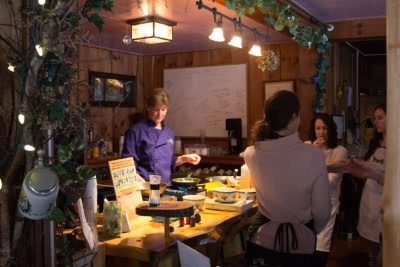 A key flavor of our nature based experience is our heritage food and culinary philosophy. 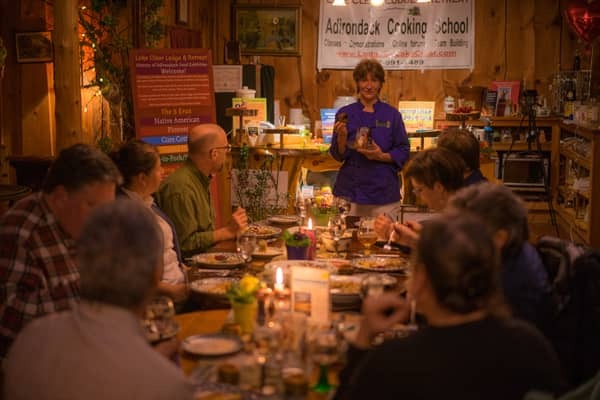 Our roots in Adirondack cooking go back to the 1800’s when Chef Cathy Hohmeyer’s family originally built the Lodge as a stage coach inn. 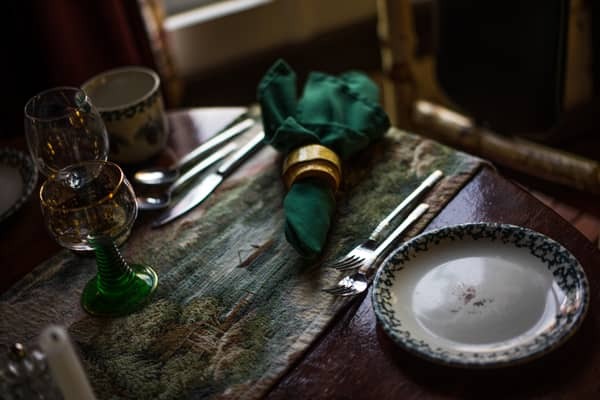 This pioneering heritage has now been brought forward to a 100 mile product focus that is fused with Ernest’s European lineage of Old World preparations of slow roasts, vegetarian stocks, bone broths and of course incredible desserts. 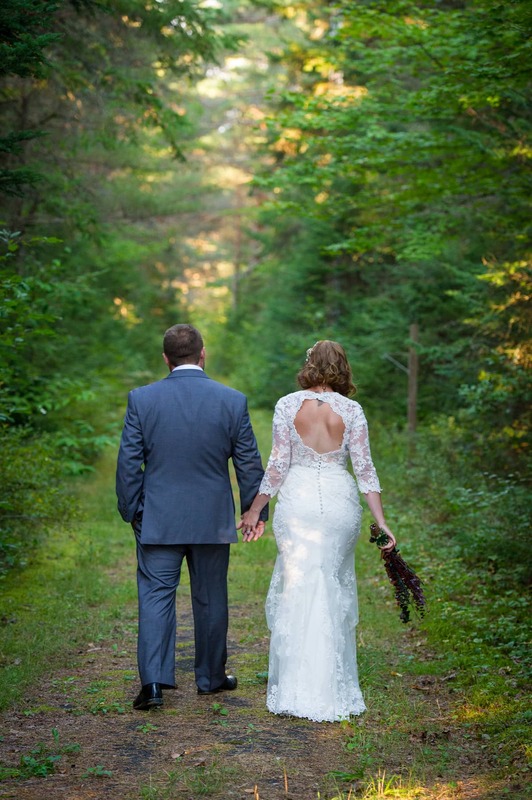 We offer three Adirondack Discovery wedding packages – all which may be personalized. We have performed simple intimate natural weddings to beautiful Adirondack Great Camp style experiences. 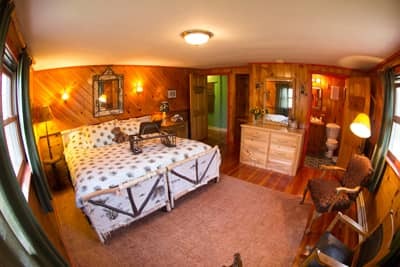 The common theme of all of these experiences is our natural setting and foods, the personalization of 3 generations of family and the authenticity of one of the last Adirondack Great lodges open to the public. Investments typically start from $100 - $125 per guest. Group lodging rates that require minimum participation generally start from $84PP in the off-season and $119PP double/quad occupancy in peak season. All rates do not include, taxes, gratuity and incidentals such as bar, tents, etc. Those seeking a day event only can do so during non-peak periods. Minimum number of guests required. Wedding party investments are approximately $130 - $165 per guest. Group lodging rates that require minimum participation are available. Best price. Minimum number of guests required. In this inclusive experience investments include food, lodging, facilities, special activities and can range from approximately $349 - $429 per guest.